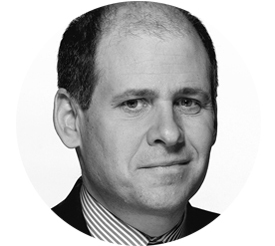 Jonathan Alter is an award-winning author, reporter, columnist and television analyst. He is the author of three New York Times bestsellers:The Center Holds: Obama and His Enemies, The Promise: President Obama, Year One, and The Defining Moment: FDR’s Hundred Days and the Triumph of Hope, also one of the Times’ “Notable Books” of the year. Alter spent twenty-eight years at Newsweek, where he was a long-time senior editor and columnist and wrote more than fifty cover stories. He has also written for The New York Times, The Washington Post,The Washington Monthly, The Atlantic, The New Yorker, Vanity Fair, The New Republic, Bloomberg View and other publications. Since 1996, Alter has been an analyst and contributing correspondent for NBC News and MSNBC. He is currently an executive producer of Alpha House, a political comedy created by Garry Trudeau and starring John Goodman that debuted on Amazon in the fall of 2013.